Changes to the ASDA Cashback Credit Card – Is it still the most generous card? For a long time the ASDA Cashback Credit Card has been our go to cashback card when comparing long term credit cards over at Head for Points. However, ASDA Money has announced changes to the cashback rate. The paid version (£3 per month) has a representative APR of 26.2%, including the fee, based on a notional credit limit of £1,200. It pays a whopping 1% cashback (2% at ASDA). From 13th April the earning rate at other retailers will drop. With the free version you will continue to get 1% cashback when shopping at ASDA, but only 0.2% when shopping elsewhere. The paid version will continue to give you 2% cashback at ASDA, but the earning rate elsewhere drops from 1% to 0.2%. This certainly means it’s not worth paying £3 a month for this card unless you are spending serious sums in ASDA. 0.2% seems to be the new baseline for cashback cards. The M&S credit card and the Sainsburys Nectar credit card have a similar return. What else do I need to take in consideration? Though the cards are called cashback cards your cashback is not paid as cash. You must download and print a voucher from the website when you have at least £2.50 of cashback due. This voucher MUST be spent at ASDA. You do NOT get cash paid into your bank account. If you are a regular ASDA shopper then this is not a problem. If you do not have an ASDA store near you then these cards are unlikely to work for you. There is also no sign up bonus which means a loyalty credit card might be a better choice. The free ASDA cashback credit card is still a good option if you do most of your shopping in ASDA as 1% cashback is pretty good. However, if you spend most of your money elsewhere, you should look at other options. Two of these options would be the John Lewis / Waitrose card and the Amazon Platinum card as you get a better return – both of these cards give you 0.5% back in vouchers on general spending. You may also want to check out the brand new Tandem card which is free and pays 0.5% back in statement credit, but we don’t have any feedback on this yet. If you are interested in airline and hotel loyalty credit cards, this article on Head for Points would be a good starting point. 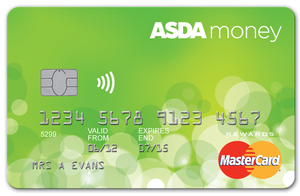 If you still want the ASDA cashback credit card you can apply on the ASDA Money website here. Received no letter regarding the paid version being changed, will be cancelling it as the cashback is useless at 0.2% for both versions. Is the Tandem statement credit monthly or annually? Could they not read the handwriting on your application? Apparently this drop is for existing customers only for the time being. It seems like a weird way of doing things, then you remember the card is managed by Creation. Barclaycard Cashback card (Former Egg card) is still at 0.5% and available, if it helps. I don’t think it is available, it’s only ever been ‘invite only’.